Passport Wallet hand made and stitched in Texas. Ya'all been asking for high end leather products, and now we finally have it. This Passport case is also a wallet. Perfect for travel, and the quality leather and design simply cannot be found anywhere else. 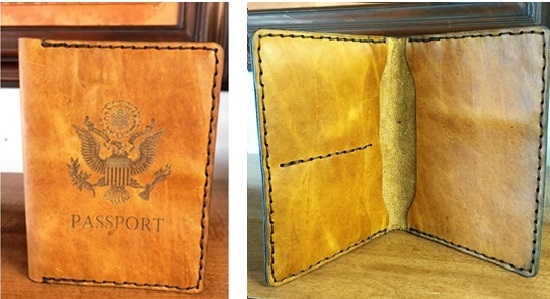 Laser Engraved Hand Made Passport Wallet made from the highest quality Texas leather. Stitching is guaranteed for the life the the product. "Choose the Color of your Leather"